Lumbar spinal stenosis, or narrowing of the spinal canal is a condition that is quite common and mainly affects the elderly. 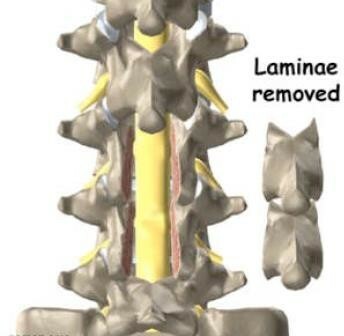 People that suffer from this complain about pain in the lower back and radiating pain in one or both legs, especially after standing or walking for a while. Patients have to sit down or bend forwards to alleviate the complaints. In the case of advanced narrowing patients walk slightly bent forwards, because this posture creates a little more space in the spinal canal and the complaints are more bearable. As a result, people with this disorder become increasingly reluctant to go out and do their daily shopping or participate in social events, which means they may eventually become socially isolated. It is also noteworthy that most patients suffering from a lumbar spinal stenosis can cycle perfectly well without experiencing any significant leg or back complaints. As a result of years of strain, the elderly tend to display wear and tear of the spinal column. Wear and tear is a normal ageing phenomenon experienced by everyone, although the extent to which it occurs differs from one person to another. In response to the wear and tear (osteoarthritis) the vertebral bone proliferates and becomes thicker mainly in the joints, which means the spinal column narrows. The yellow ligaments thicken too, which means there is even less space in the narrowed spinal column for the spinal cord and nerve roots. 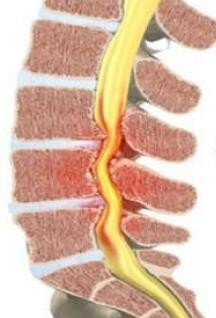 The narrowing mainly occurs in the lumbar vertebrae and can lead to pain in the back and/or radiating pain in the legs. The narrowing is examined in transverse sections using an MRI scan or CT scan. An EMG or needle electrode test may also be requested in relation to nerve conduction. This procedure reveals how long the nerves have been trapped. These operations involve the same (rare) risks that apply to any other operation performed under a general anaesthetic. Specific complications inherent to back surgery will be discussed with your treating surgeon. Patients should not be alarmed if they experience post-operative pain in the back, buttock and/or leg. The operative wound and the nerve will need time to heal. 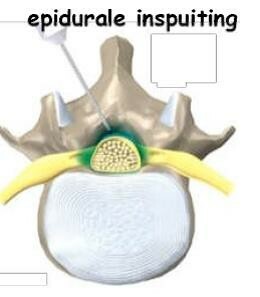 Epidural lumbar infiltration: this treatment involves a needle being inserted into the spinal canal through which anti-inflammatory medication is injected. Inflammation causes swelling and eliminating the inflammation causes the swelling to subside. This creates space once more and the complaints may disappear completely. 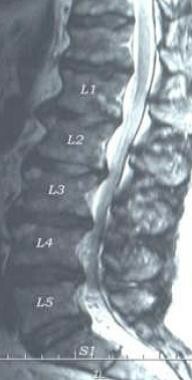 Also in this case, not every lumbar canal stenosis needs an operation, such as in the early stage of the condition, if patients suffer few complaints. However, if the complaints are considerable, an operation is the only way to alleviate the patient’s complaints, which may be unnecessarily ruining his or her life. A bony decompression is an operation in which the surgeon removes the excess bone growth. This mainly reduces the pain in the legs. Once you are fully anaesthetised, you are placed in the prone position and the surgeon makes an incision in the centre of your back. The back muscles are moved away from the vertebrae and the thorny protrusions and vertebral arch are released. The surgeon proceeds by removing the bony excess, thickened yellow ligament and part of the vertebral arch. This releases the spinal cord and the trapped nerve. Lastly, the wound is closed.